Just like the group of dedicated alchemists that convenes to exchange views of the Hermetic arts and spiritual alchemy, this watch can inspire you to learn about the "œsuperior" elements of the universe. Plus, you can look stylish while wearing it! The face measures 1 1/2" x 1 3/4". 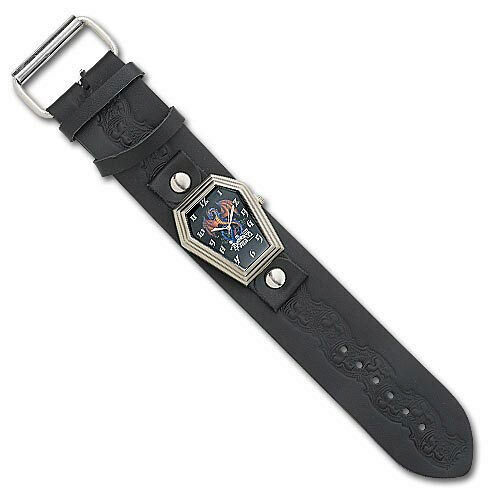 Features a genuine leather band with dragon fantasy design.